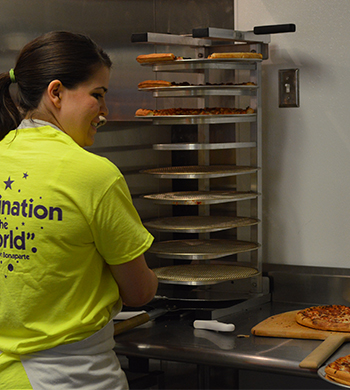 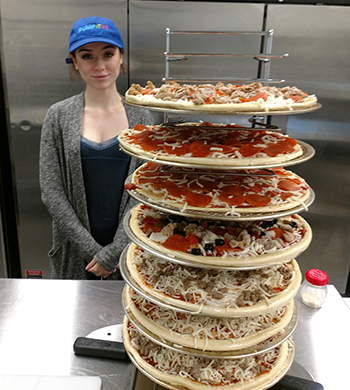 Pizza Made Fresh in our KItchens. 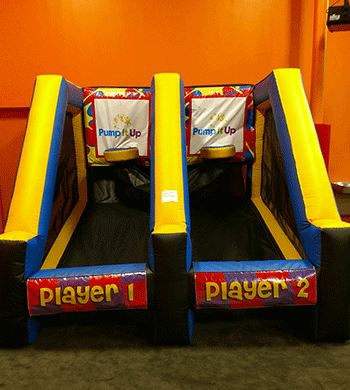 We also have chicken wings, veg trays, fruit trays, Chicken nuggets and more. 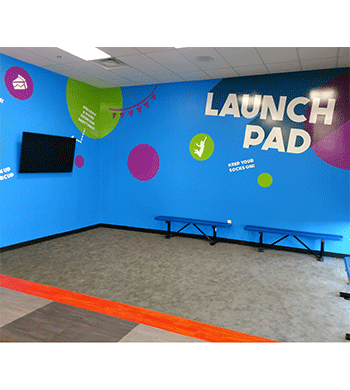 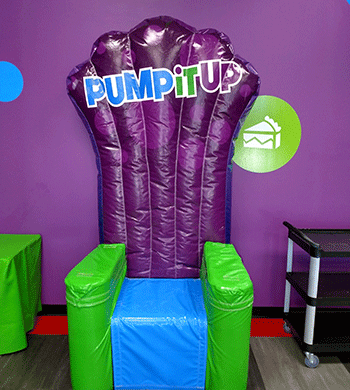 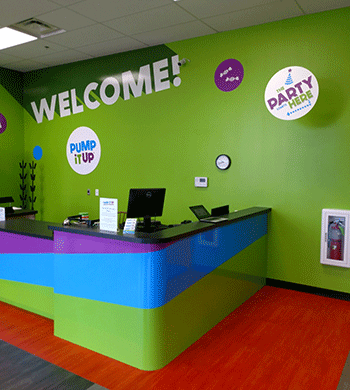 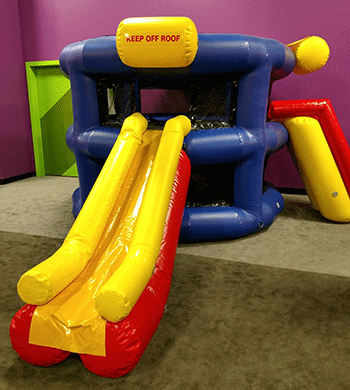 Our waiting Area so you can view our safety video and get ready to have fun. 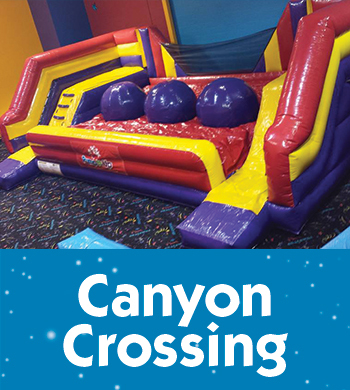 Canyon Crossing - Fun for Children and Adults. 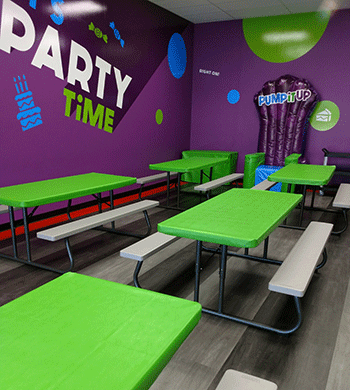 One of our Party Rooms - for your Birthday party cake, food and fun. 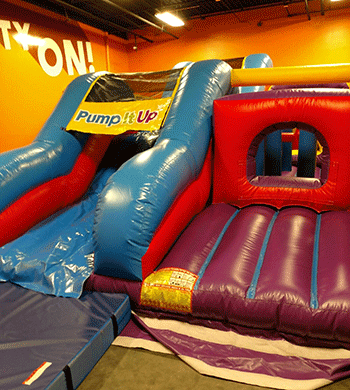 Pictures taken during the Arena play time - are displayed on a TV screen during your Party Room time.